Home / Team Member / Dr. Grover V. Foster, Jr.
Dr. Grover V. Foster, Jr.
Grover is a retired toxicologist and former Director of Clinical Sciences, Pfizer Inc, and lives in Hillburn, NY with his lovely wife of 51 years, Susan, who is a retired Special Education teacher and manager of the church nursery. 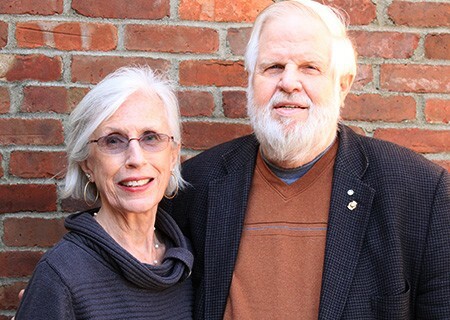 Grover and Susan have two grown children and six grandchildren, two of which attend Ringwood Christian School. They have been members of Grace Baptist Church since 1993 where Grover has served as church pianist and a teacher of adult Bible classes. He has been an active member of the Gideons International since 1975 and Rotary International since 2006 and also serves on the Board of a local Christian pro-life organization. He enjoys spending time with his family, outdoor gardening, studying the Bible, and being a witness for Jesus Christ.